I’m Sacramento personal injury and car accident lawyer Ed Smith. A crash along Interstate 80 eastbound on April 28 involved four vehicles, one of which left the scene before authorities arrived. Emergency medical personnel were summoned to the scene to help assess the injured and transport them to a hospital if necessary. The accident happened shortly after 3:00 in the afternoon just west of Madison Avenue, according to a California Highway Patrol (CHP) report. It involved a Chevrolet pickup truck, a Honda Civic, an unnamed silver-colored sedan and another vehicle, which was unidentified. Two of the three cars that remained at the scene were forced down an embankment from the collision. Injuries were reported, but no information was given as to the severity. Because the fourth vehicle involved in the crash left the scene of the accident that wounded others, it was reported as a hit and run with injuries, which is a serious offense. A hit and run is defined as an accident where a vehicle hits another vehicle, person or property and leaves without supplying their contact information and rendering aid. There are variables since leaving the site of an accident to reach a place where law enforcement can be contacted is often not viewed as a hit and run. Fault is not necessary to charge the driver with fleeing the scene. Leaving is all that is needed. Also, the accident need not happen only on a street or highway. Hitting another vehicle or person in a parking lot is also considered a hit and run. California vehicle code 20001: This code deals with hit and runs involving injury or death. If someone fails to stop and render aid or provide contact information at the scene of an accident where someone dies or is injured, they can be convicted under this statute. The penalties are more severe if the injury is severe or if the person dies. It can be charged as a misdemeanor or a felony. Jail time and fines can be levied. California vehicle code 20002: California vehicle code 20002 describes the legal duty a driver has if property or a vehicle is hit. If a person is convicted of leaving the scene without providing contact information, they can be charged with a misdemeanor, and if convicted, spend time in jail and be fined. It is possible to introduce a civil suit against a hit and run driver. The structure of the claim depends on whether the driver has been apprehended by the police. In cases where the fleeing driver is not arrested, an injured individual can collect compensation for their injuries under their own uninsured motorist coverage. However, uninsured motorist coverage is not mandatory in California. Insurance companies are mandated to offer such coverage, but the driver can opt out of it by signing a waiver. If the hit and run driver is apprehended, a civil claim can be filed at the same time a criminal case is in progress. This claim may be delayed while the criminal trial is ongoing although it can proceed. 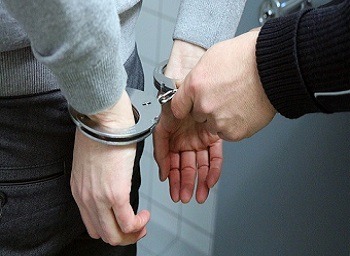 An advantage of delaying it until the criminal trial has been heard is that a criminal conviction provides proof of the person’s negligence, a necessary factor in a civil personal injury case. Criminal cases require a higher burden of proof than civil cases. It is this proof beyond a reasonable doubt that exceeds the preponderance of the evidence required for a civil claim. In California, punitive damages are defined as those that involved acts of intentional malice, fraud or oppression. They are meant to punish the person who inflicted the harm. The person against whom punitive damages are levied must be aware of the consequences of his or her actions and do it anyway. For example, a drunk driver who is aware that drinking and driving can cause serious injury and death to others but drinks and drives anyway, has made a conscious decision. A driver who negligently hits another vehicle or person knows that abandoning them may result in death. In both cases, the injured person or their family may ask for and receive punitive damages. 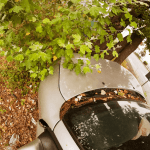 I’m Ed Smith, a Sacramento Personal Injury and Car Accident Lawyer. If you have been injured or if a member of your family died in a hit and run accident, you need the help a seasoned lawyer can provide. Reach out to me at (916) 921-6400 or (800) 404-5400 for friendly and free advice. You can reach me online too. I’ve been assisting those in Sacramento for over 36 years in wrongful death cases as well as all types of accidents. I belong to the Million Dollar Forum. We are a nationwide group of trial attorneys who have won cases worth more than 1 million for a past client.